Consulting after MBA seems to be the preferred career choice for the vast majority of MBA applicants today. For some, it is an escape from the comparatively monotonous corporate life they have had so far. For others, it is a dream that involves getting the chance to work on new projects frequently, travelling, and helping clients fix their companies. Whatever the allure, the fact is that consulting after MBA forms the predominant career choice for B-school applicants when they apply. Consulting post MBA: What are the opportunities? Strategy consulting: Firms within this classification typically carry out the most ‘interesting’ work – helping large firms and CEOs chart out strategy, align their vision with their offerings, enter new market segments, or create new growth plans. Most strategy consulting firms work with the top management of their clients. The biggest names in this space are the ‘Big 3′ (McKinsey, BCG, and Bain), but there are also others like AT Kearney, Roland Berger, and to a more limited extent Accenture, while some others like Booz and Monitor have now been acquired (more on this below). Getting into a career with strategy consulting firms requires strong domain knowledge within a particular industry or function, strong academic credentials, and of course awesome case interviewing skills. An MBA is definitely an asset and is required for growth beyond a point for most firms. Operations consulting: Operations consulting firms typically take on the work of looking at a business’ internals, improving internal efficiency and working with a specific subset of business functions. The advisory arms of the ‘Big 4′ accounting firms (PwC, E&Y, KPMG, and Deloitte) along with a few others like Accenture and IBM have traditionally dominated this space. Now, however, the lines are blurring as Deloitte recently acquired Monitor and PwC acquired Booz, giving them access to mainstream strategy consulting work as well. A career in operations consulting may not always require an MBA, though having it is an asset. Domain experience within particular areas like manufacturing, outsourcing, or financial services is definitely handy. Case interview skills stay just as relevant as they do with strategy consulting firms. Technology consulting / IT consulting: Some may say that technology consulting does not strictly fall within the domain of management consulting, but with technology acquiring increasing relevance in business management as a competitive tool, this notion is not really true. While traditional work at IT consulting firms revolved around implementing ERP systems, creating a technology and technology infrastructure strategy, and optimizing operations using technology, this is now changing. New-age technology projects also drive revenue and improve profit margins and are not just about increasing operational efficiency. The space is dominated by firms like Accenture, IBM, HP, and Capgemini. A career in IT consulting requires a strong academic background in technology or computer science with relevant experience in technology management, project delivery, or technology development. Boutique consulting firms: These may be strategy or operations consulting firms, with the difference that they are very small in size and usually focus on a niche area such as a particular industry. The lines with business research also tend to blur for these kinds of firms – they usually also have business research divisions focusing on their niche. Some examples of such firms are ZS Associates (analytics consulting, focused on pharma) or NERA (economic consulting). A career in these firms will typically require an MBA, although experienced professionals from the niche the firm specializes in will also be in demand. HR consulting firms: HR consulting firms are large firms focusing on the area of Human Resources only. They tackle issues and areas such as compensations, benefits, recruitments, and human capital strategy. They usually tend to work with the top management of their clients. Some strategy and consulting firms too have their HR consulting arms. Some specialized HR consulting firms are Hay Group, Mercer, Towers Perrin, and Watson Wyatt. A career with these firms does not typically require an MBA. Hands-on HR experience as an HR generalist can be a big plus when applying to these firms. Consulting after MBA: what are the possible career paths? The exact designations and even the specific work responsibilities across roles might vary a bit, but most consulting firms have roles which fall into three buckets. The first (analyst, junior associate) will involve working on analysis and data collection and supporting consultants and partners. The second (consultant, senior consultant, manager) involves synthesizing the analysis, creating and making presentations, and conducting investigative approaches on the business issue at hand. They will also involve supervising some team members and looking after managing parts of the engagement independently. The third bucket (principals in some firms, directors in others) involves also building and managing client relationships. Finally, the pinnacle is the partner position, which involves managing multiple delivery portfolios, managing relationships, and growing the practice. There may be many levels of seniority within partners as well, so just getting to the partner level does not imply firm leadership. The point to note is that designations do not map exactly. As a prominent example, a Director at McKinsey is senior to a Partner, while at KPMG, a Partner is senior to a Director. Consulting attracts professionals from all industries, and continues to hold allure for those who held consulting jobs pre-MBA. Some applicants, though, start off stating consulting as their career goal if they are not clear about which option they wish to choose among the plethora available before them for post MBA consideration. 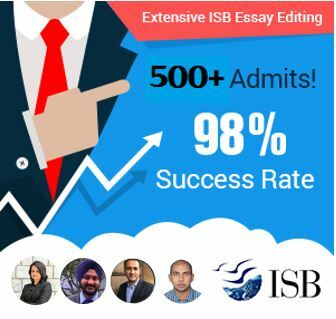 We would strongly advise against this approach because not only must you approach the admissions process with complete honesty but you must also take the time to know the options before you. School selection, application creation, and final admissions depend on your post-MBA career goals, and taking the time to gain clarity around them will help you prepare stronger applications. @Abhishek: Consulting organizational structures are by-and-large similar in multi-national consulting organizations across countries. There may be peculiarities for some roles in some countries. For example, McKinsey India typically hires from campus (MBA programs) in India for Junior Associate roles. In Europe, they hire similar candidates (graduates from European MBA programs) at an Associate level. There may be exceptions, but you get the general idea. That is an outstanding article! You guys certainly know your stuff. Can I get some help evaluating my profile? I have a GMAT of 680 (too low?) and around five years of banking experience (started at the front desk, but now manage 2 people, and 2 interns as well). 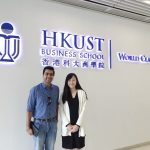 I am aiming at US East Coast MBA programs and looking at consulting after MBA. 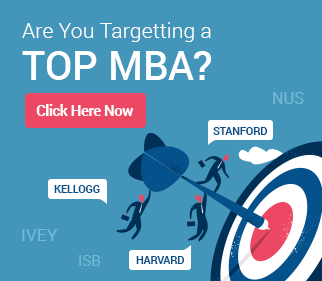 With a 680, do you think getting into consulting after MBA will be difficult? Which are the best consulting firms to look for after MBA? Everyone knows McKinsey, Bain, and BCG, but what about other lesser known names? Is MBB all that there is to Strategy Consulting?